Are you CONFIDENT that you made the right choices during the patent application process and with the patent attorney you retained? “Knowledge itself is power” - Sir Francis Bacon (1597). Grasp the fundamentals of the patent process so that you can knowledgably consider your options and effectively collaborate with your patent attorney. Understand the pros and cons of your possible options to make more informed decisions. Ask more precise questions when interviewing a potential patent attorney. An educated inventor can make more informed, better decisions. The patent system provides many options for the inventor. However, without an understanding of the pros and cons of the options, it is difficult to know which next step is the good option. Much of law is a balance between competing interests, which can make it incredibly difficult to know which direction is the most reasonable. Navigating the Patent System presents information systematically so that the inventor better understands the fundamentals of how the various laws work. Inventors will be more active participants in the meetings with their patent attorneys and be able to collaborate with their attorneys to determine the right next steps for them. Only with this collaborative approach will clients be able to be more certain and comfortable that their choices were reasonable given their circumstances. This book is not a substitute for legal counsel; instead, it provides a starting point to make informed choices with your legal counsel. A good next step for you might not be the same one for someone else. Instead, the recommended next step is dependent on many factors, such as your available funds, your experience, the current market demand, and others. If you would like to discuss with me your situation, I’d be happy to Schedule a Consultation. Learn and understand the basics first so that you can figure out the strategy questions to ask in your initial meeting with a patent attorney. This way you can make a more informed decision earlier. When counseling clients, attorneys will tailor the information they provide about the law to a minimum so that the client will understand why they should take the steps the attorney is recommending. In my book, some topics are given more comprehensive explanation and discussion so that you can understand the basics before meeting with a patent lawyer. This way you are not getting billed for an attorney’s time as the patent attorney explains the fundamentals. This reduces the amount of time necessary to get from the basics to the strategy portion when discussing how to protect your invention. 3. Don’t get ripped off! Knowledge is key. If you understand the process, you will be better able to distinguish between good and bad advice. You are in control rather than having to rely on others who may not know or care about what is in your best interest. 4. Save time by systematically learning about the patent system. In today’s information revolution, information is easy to find and relatively inexpensive. We hear “just Google it” or “Google knows everything.” The downside to internet research is that the information you find on the internet is hard to learn because you are learning just bits and pieces of it. The Seven Core Concepts taught in Navigating the Patent System are an effort to resolve that problem. 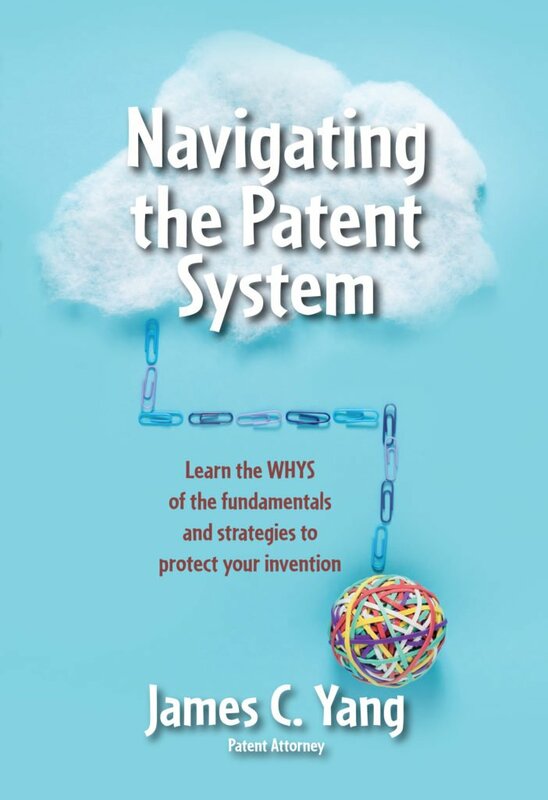 The book systematically presents the fundamental information that inventors need to make a more informed decision as they begin and continue the patent process. Additionally, although Google might eventually be able to provide you all the fundamental information after an exhaustive, time consuming search, legal counsel is still necessary so that the law can be applied to your situation. 5. Learn more about me before you retain me. The book is not a sales pitch for my services; however, I do offer patent legal services to others. Potential clients can get to know me better since the book explains some, of my approaches to client. If you want to get to know whether we might be a good fit, you have the option of reading my book before retaining my services. If you like my approach, you can then Schedule a Consultation with me. This book is not a substitute for patent counsel. 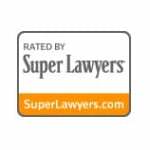 Retain a patent attorney to help you through the process even if it is not me. Otherwise, you risk wasting both time and money. 6. Understanding the WHYS makes follow through more likely. The book explains the fundamentals, your options, the pros and cons, and possible strategies to protect your invention. It does not provide any specific recommendations since each individual case is different. However, when you do retain patent counsel, you are able to use the book to help you understand the reasoning behind the steps your patent counsel recommends so that you can be an active participant and collaborator to the process, and thus more likely to follow through with the agreed upon plan. Navigating the Patent System contains fundamental patent information on which to build your education on the patent process. When you develop a better understanding of the process, you gain the power to make better choices and decisions during the patent process and as you select your patent attorney. The Seven Core Concepts, which answer common questions about patents and help the inventor understand fundamentals to make more informed decisions before filing a patent application with the United States Patent and Trademark Office (USPTO). The structure of a well-prepared patent application to equip inventors with the knowledge they need to check the quality of the patent application prepared by a patent attorney. Frequently asked questions about specific issues that typically arise after filing the patent application with the USPTO. To find out more about what is inside Navigating the Patent System, peruse the Look Inside feature on the Amazon listing. (Purchase your copy at Amazon). Genesis of the book: How I came to understand what inventors wanted! 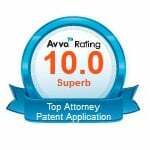 A few years ago, an experience in my own life allowed me to better understand the uncertainty that inventors feel as they struggle to understand the patent system and select a patent attorney. 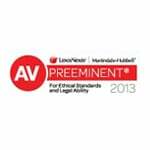 I needed to establish my will and a family trust to protect my wife and children. I had received high marks in my Wills and Trusts class at Loyola Law School. However, even with my knowledge of law, I still felt as though I was navigating through unknown terrain. Inventors want a clear explanation of the fundamentals. There is a certain sense of comfort and control you get when you have a good understanding of the process. Inventors want value rather than just the cheapest solution. They want the most cost-effective representation during the patent process. Inventors should not feel uncertainty about the next steps. This goal was the genesis for the book. One of my core practice philosophies is summed up by Sir Francis Bacon’s quote. I want you to have knowledge so that you have power to make an informed decision. We will not be a good fit if you want me to make the decisions without you understanding the pros and cons of the possible options. Navigating the Patent System was born out of my desire for the inventors I work with to have a better understanding of the process so that they are prepared to make more informed decisions as they work with me on the process. Many years ago, I used to take a cookie cutter approach to client counseling. Over the years, I’ve come to understand that the best recommendations are those that were more collaborative in nature. These decisions are more aligned with the client’s visions and values. I explain the options, the reasons behind the options, and their pros and cons; ultimately, the decision must be made by the client with my guidance. The book is a good starting point to begin our discussion so that you can actively participate. We collaborate and come to an agreement about the appropriate next step for you. You, as the client, get to challenge my assumptions, and I will challenge yours. If you are looking for a “yes” man, then I am not the patent attorney for you. I also will not tell you that your invention is wonderful even if I am not sure that it is. With me, you will get a straightforward, honest conversation. Who am I? Why should you listen to me? 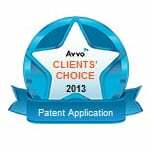 Since 2004, I have been helping clients just like you to figure out whether they should apply for a patent. I also assist them in preparing their application if they decide to do so. Over the years, I’ve spoken with thousands of inventors and represented hundreds. Put simply, I’ve helped others, and I can help you, too. I want to illustrate the importance of my approach by telling you about one of my previous clients. This company had filed a patent application with a different patent attorney, and the examination process was well under way. During examination, the examiner rejected the original patent application. To make matters worse, the focus of the examination (i.e., claims) was not on the inventor’s product. The other patent attorney was recommending that they just provide arguments to convince the Patent Office to reverse the rejection and then wait to see how it goes. I stepped in and explained my alternative strategy, which was to redirect the focus of the examination (i.e., revamp the claims) so that it would be on their product. What good is a patent if it does not protect what you have invented? That seems simple enough. I also recommended that we request a telephone interview with the examiner. The interview increased the cost of a response by the Patent Office, but it offered significant potential insight that would allow us to improve the possibility of favorable results. More importantly, I explained the reasons behind this strategy so that the client could understand why these options were needed. I could see the client’s light bulb go on in that moment. I implemented the strategy and was able to secure the patent for the client. I can’t guarantee this result for you, but this strategy coupled with an understanding of the logic behind it is important for you as the inventor. The client needs to know why the next steps are recommended to protect their invention and that they have the right attorney for the job. Navigating the Patent System will help to mitigate any potential bad decisions, which might cost thousands of dollars to fix. Sometimes, in the end, the problems caused by the wrong decision cannot be fixed after the fact. Avoid limiting your chances of obtaining a patent for your invention. The book is also a starting point for learning about the patent system. You can save yourself attorney time and attorney fees, as a result, by teaching yourself the basics in this book, which will allow you to ask more precise strategy questions quickly early in the process. Purchase Navigating the Patent System risk free today. I will refund your money if you do not like my book. If you do not find my book helpful after purchasing it and reading it, then simply email me. I will refund the full cost of the book. I am that confident in the value of this book! P.S. Knowledge itself is power. Navigating the Patent System will teach you the fundamentals and strategies to protect your invention. You will be better prepared to make smarter decisions during the patent process. You will be able to ask more precise questions and thus will get more individualized answers from your patent attorney. Buy it now!